We are open seven days a week by appointment or by chance. Please call ahead to make sure we are available for your visit. We don't want to miss you, We Want Your Business !! Address: 5137 Eureka Road, Batesville MS 38606 - just 5.2 miles off Interstate 55 at exit 243. 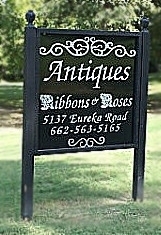 Ribbons and roses Antiques offers a wide variety of antique furniture and smalls. Our inventory is constantly being updated so most anytime you stop by you will find something new. 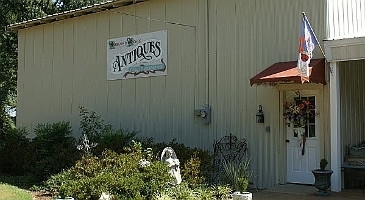 We offer high quality antiques at reasonable prices. We also buy antiques. Look for our sign when driving in as our warehouse is located at the rear of the property and is not visible from the road. We are open seven days a week by appointment or by chance. Please call ahead to make sure we are available for your visit. We don't want to miss you, We Want Your Business !! This website is just a sampling of our available items - there is a much larger selection in the store. If you see something you want just give us a call ( 662.563.5165 ) and we can make it happen.